I have been urged to give Adrian Delia a break. Unlike some politicians, I have not been threatened or offered a reward. Obviously, I am not important enough for that. The reasoning used by these people is that I should give Delia space to prove himself, to implement his plans, then be in a better position to discuss him, denounce him or praise him to the heavens above. When people mete out such advice I always accept it as objective without wondering if it is dictated by any agenda. But even if Delia and his entourage are clean, transparent and descended from heaven, I feel that people - especially those more competent than me - should be scrutinising him, his ideas, his ways and especially his very strange replies to journalists, above all regarding his questionable financial affairs. Together with many others in this land, I was dead against Joseph Muscat’s handling of those involved in the far from clean and totally not above board revelations that came out of the Panama Papers. Even if the electors seem to have pardoned the guilty of any wrongdoing, the prime minister failed to stem, and especially to show any willingness to stem, any connection from his top men, to corruption. I do not want my representatives on any side of the political divide to live in the shadow of corruption. Even if evidence that would damn you in a court of law is lacking, any connection to wrongdoing should damn you in the political court. Unlike a court of law, the political arena should not open its doors to people unless they can prove their innocence beyond doubt. It is a tough line. But politicians should live by it. Otherwise we common folk look on and feel justified in doing the same. Money laundering, tax evasion, lies, cover-up of evidence. In the case of Delia, potential bankruptcy or close to bankruptcy. Furthermore - as another great first in Maltese politics - connections, even if indirect ones, to prostitution by a leading politician. I have condemned and will keep condemning Labour and its machinations to clutch on to power and to keep their tainted men in power. The last thing I ever thought possible was that a political party in the wilderness of Opposition would follow suit and not merely accept people of dubious character or dubious past but also choose one of them as its top man. 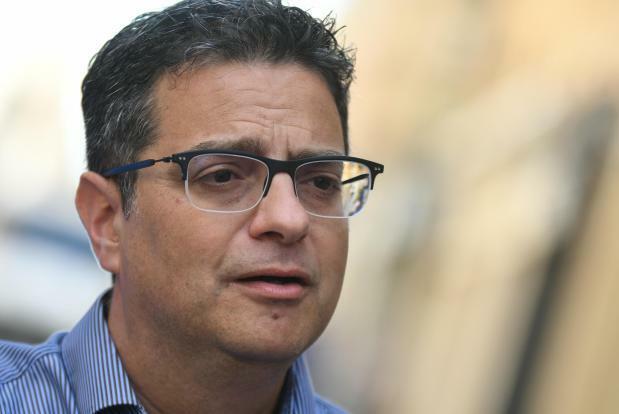 In reality, it is not just Adrian Delia’s history that is shady but even his present and his future are shrouded in shadows which will linger, haunt and help continue damning our political institutions. With both major parties hell-bent on accepting that anything goes, Malta’s future seems shadier than ever.